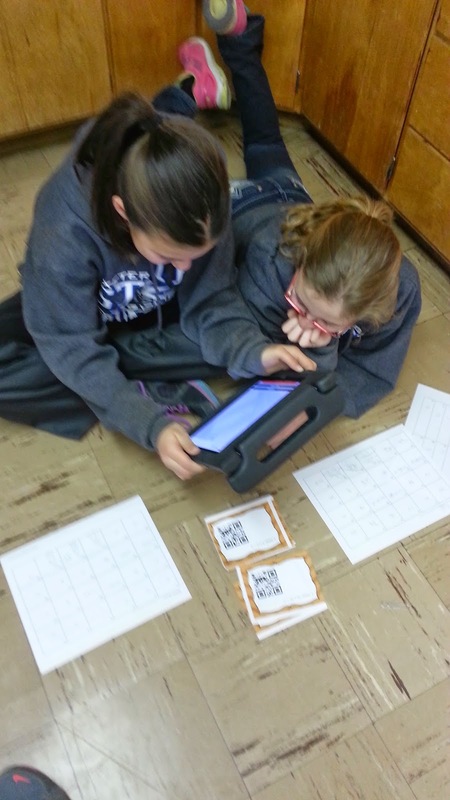 Anna Sluka and Kayla Geiger are using Inigma, a QR scanning app, to find the answers to Order of Operation problems in Math. This quarter the 6th grade has been learning about expanded notation with exponents, powers of fractions, order of operations with exponents, along with other algebraic concepts. They have found order of operations to be quite tricky, so they needed a little extra practice. They had task cards throughout the room that they had to find answers too. Once finished, they could use the Inigma app and check their answer.